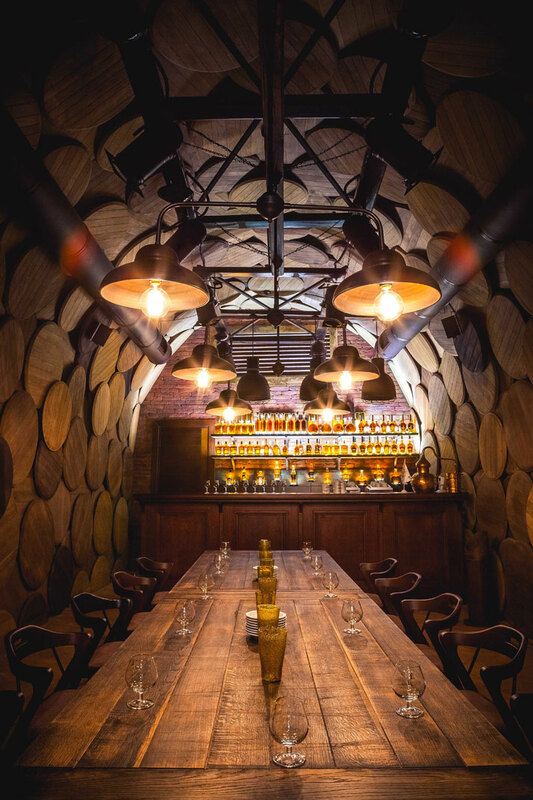 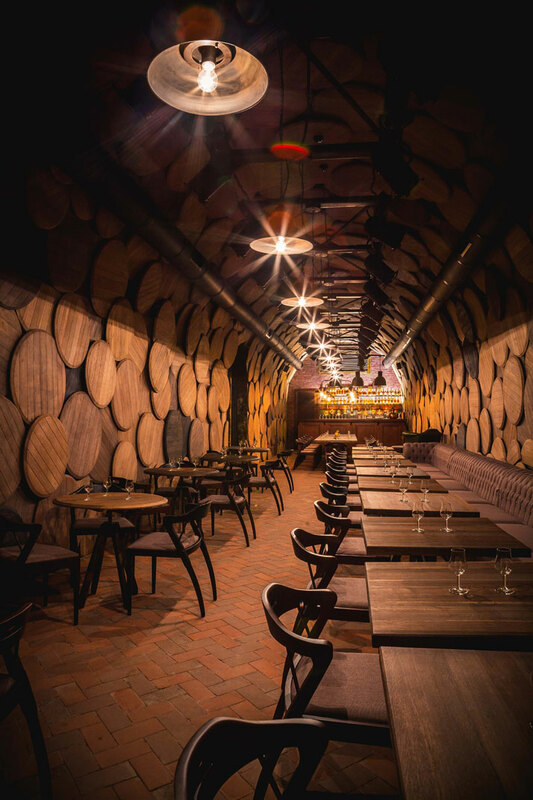 This 19th-century cellar in Odessa, Ukraine, has been redesigned as a brandy museum and brandy bar named Shustov by design studio Belenko Design Band. 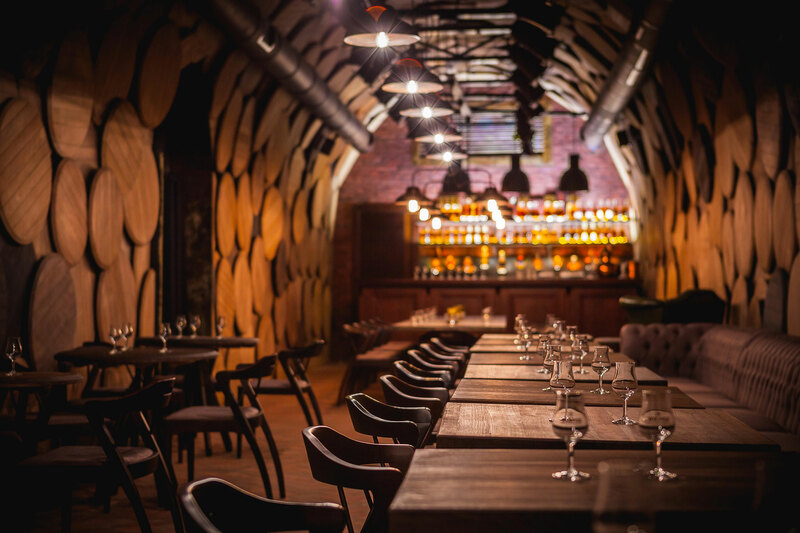 The dark and mellow ambience suits the space perfectly, just as it highlights the venue’s character and history. 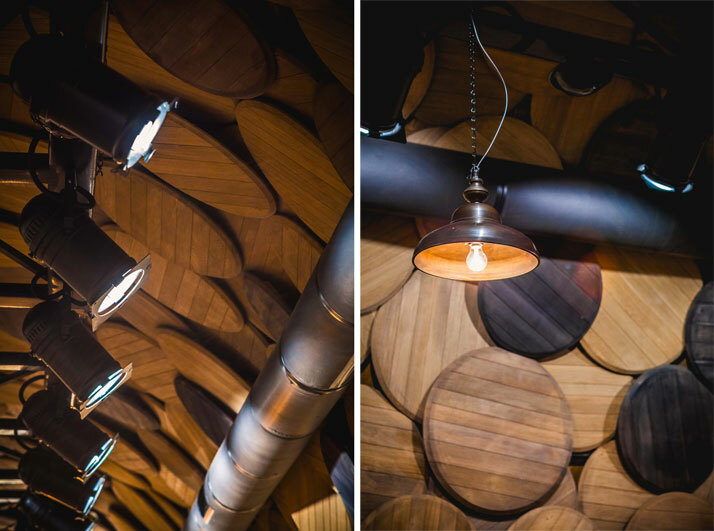 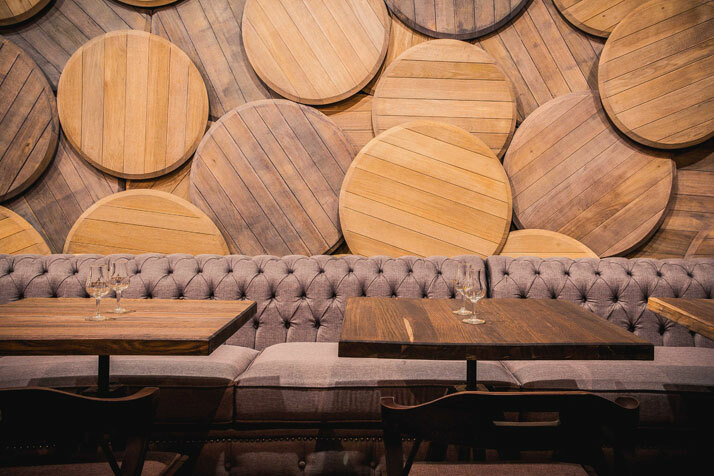 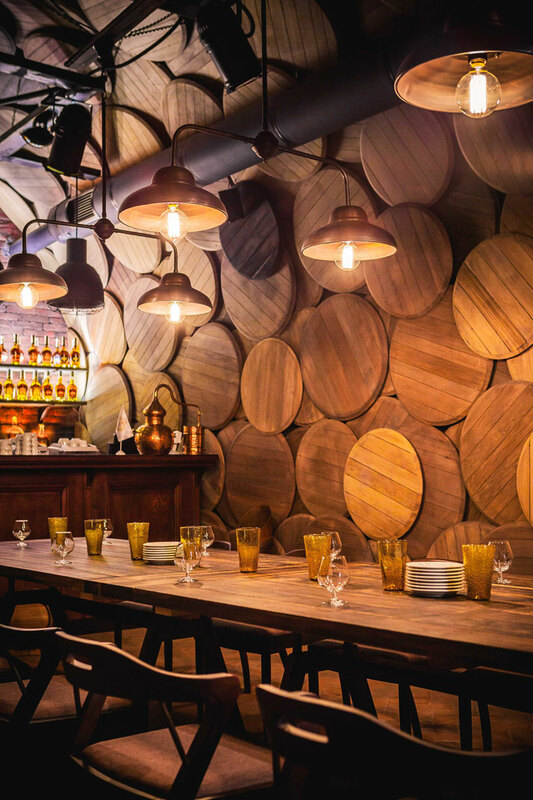 Naturally with wood as the material of choice, oaken timber cover the tables and real barrel tops have been placed all over the walls in multi-layered random patterns (cleverly accentuated with rows of theatre-type lights hanging from the ceiling). 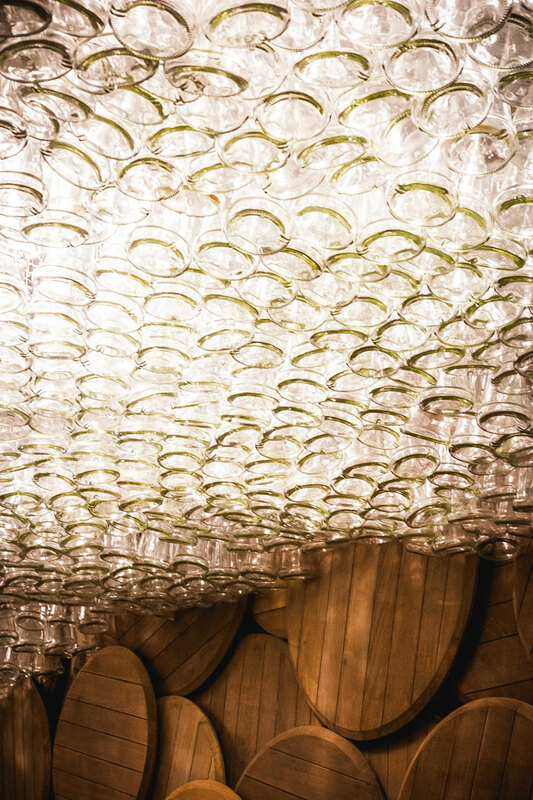 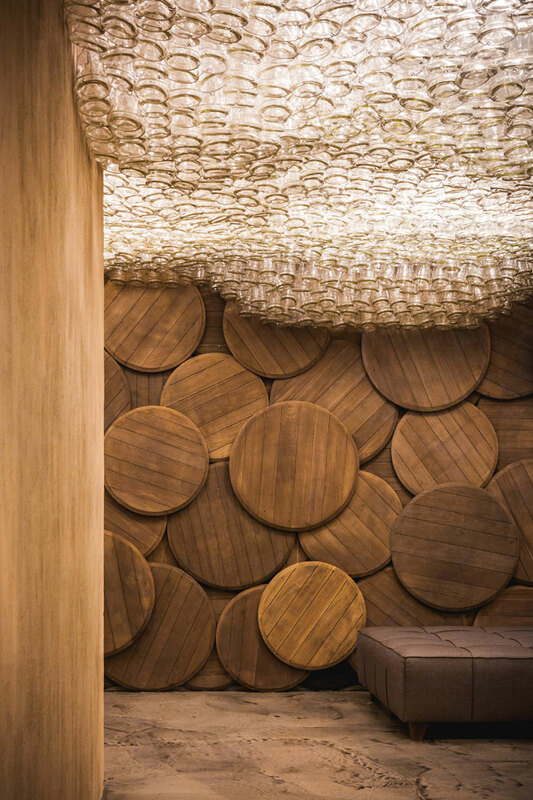 In the lobby, the ceiling has been covered with approximately 20,000 brandy bottles, creating an undulating installation of light welcoming the guests. 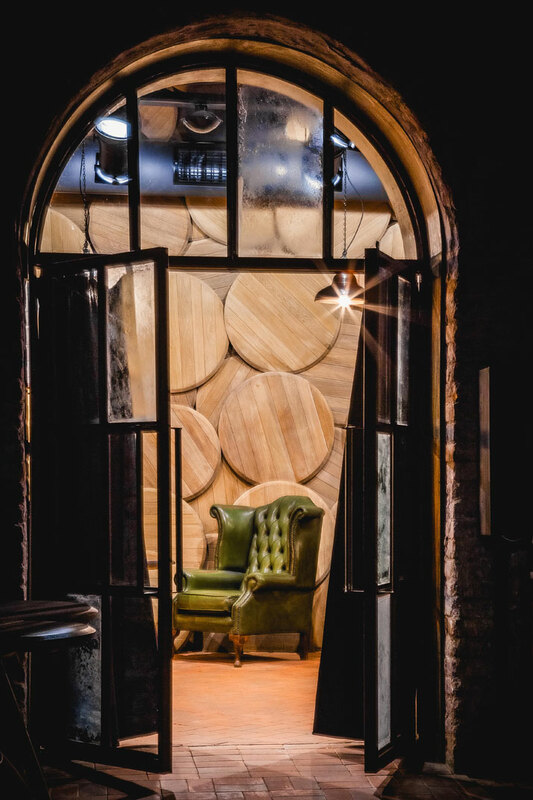 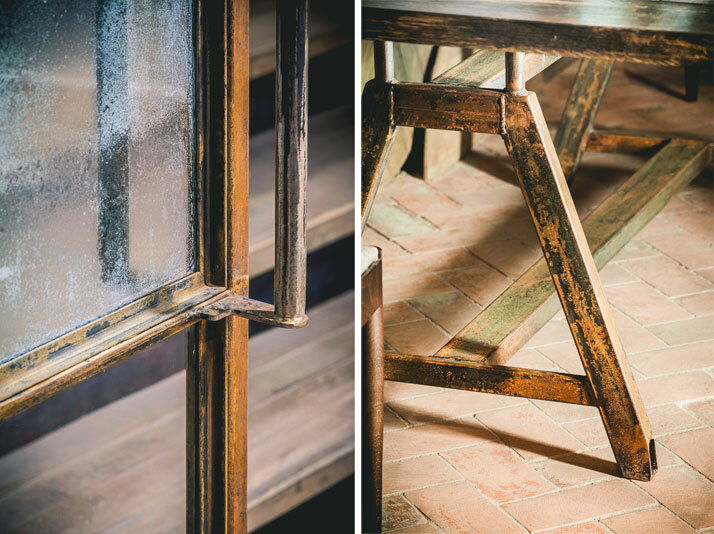 Shustov’s bespoke chairs - with their gracefully bending armrests – have also been designed by Belenko Design Band. 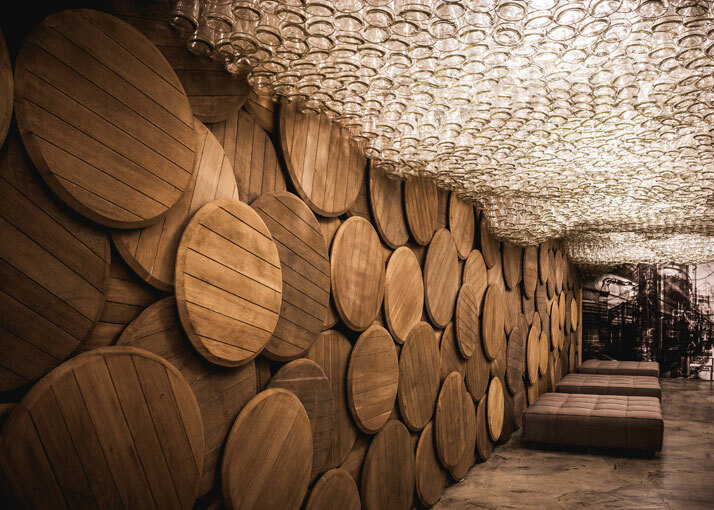 Based in Odessa, Ukraine, and with a passion for hand-finished and customised details in every project, Belenko Design Band is a team of architects and designers that specialises in interior and graphic design for retail spaces and restaurants.